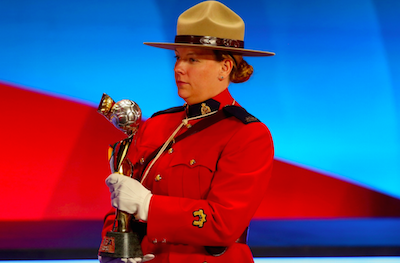 The FIFA Woman`s World Cup trophy is carried by an RCMP officer during an event last year in Ottawa. Mountie at the draw in Ottawa. The Women’s World Cup is used to being marginalized. Despite playing a better game, the athletes aren’t lauded like their male counterparts. They’re instead used as guinea pigs for dangerous playing surfaces, and their (now disgraced) boss has said they’d attract more viewers by dressing in sexier outfits. But with the kick-off for the World Cup taking place tomorrow in Edmonton, some of the best female athletes in the world are now being ignored in favour of the scandal plaguing FIFA. After 12 minutes of opening remarks, a PR woman from FIFA asked journalists not to pose questions about the scandal. The first five questions then focused specifically on the scandal. The journalist, in French, pressed Mr. Montagliani on how it can be assured that Canada is clean. Another journalist requested that the question be asked in English. FIFA had made only a handful of translation devices available in a small hotel conference room packed tight with upwards of 100 journalists. “His question,” said Mr. Montagliani in English, “was when we bid for the World Cup was there any … comment dit-on?” – how do you say? “Bribes,” said the journalist in English from the audience. The Women’s World Cup gets underway tomorrow evening in Edmonton, when Canada takes on China. Nate Silver’s FiveThirtyEight ranks our team seventh in the tournament, but says Canada has the fifth-best chance of reaching the World Cup final on July 5. 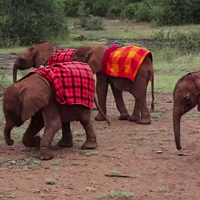 "Elephants naturally kick things about"